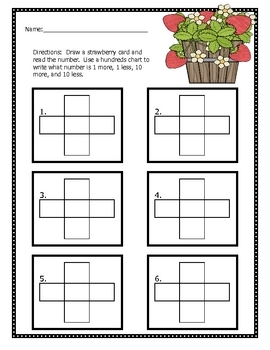 This strawberry themed activity is great to use in math centers! 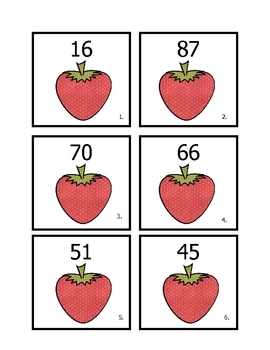 Students will read a two digit number and find what is 10 more, 10 less, 1 more, and 1 less. 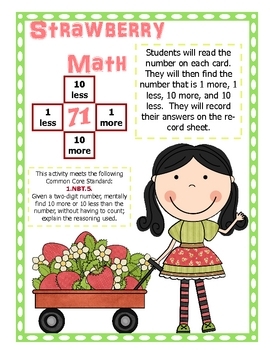 This activity meets a Common Core Standard.